Geeky races?! How have I not heard of these? Did you dress up for any of them? Very cool! So very impressed with how many geek races exist and how cool that you ran them all! 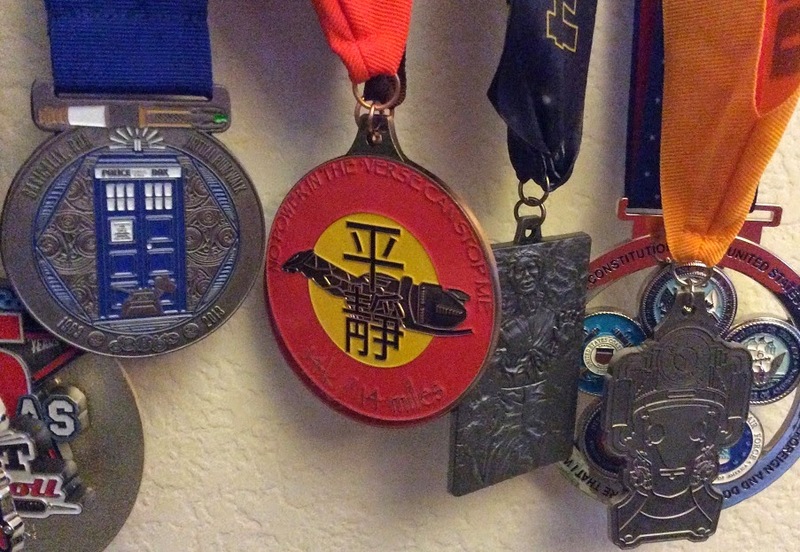 I'm super jealous of your Firefly medals! I've never heard of Firefly races, and I'm secretly a Browncoat. My daughter's middle name is Inara! I think that picture is perfect! I didn't even know that there were Firefly and Dr Who races but I love that you ran them. The fact that they raised money all the better!